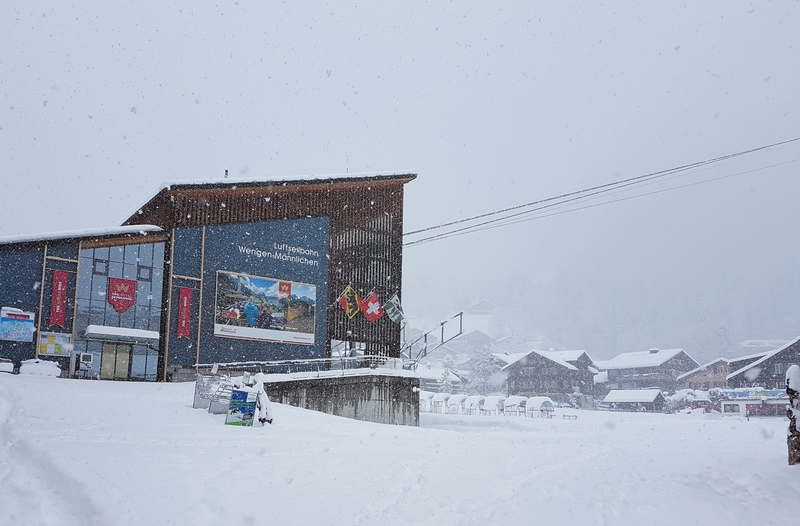 Farewell to what the boarder community referred to as the "two spliff lift"
Hooray and about 10 years too late but then that gondola is one reason I have now discovered Austria..
40cm+ of new snow in the village this morning. Still snowing. Trains in the valley have been replaced by busses. Went up to Ks for a coffee. The skiing was interesting......... Felt sorry for the gang trying to complete the arena for Snowpenair this weekend! So trains from Interlaken Ost to Lauterbrunnen have been replaced by busses? I'd have thought it was easier to clear a rail line with a snowplough attachment on the front of a train than to plough a road. 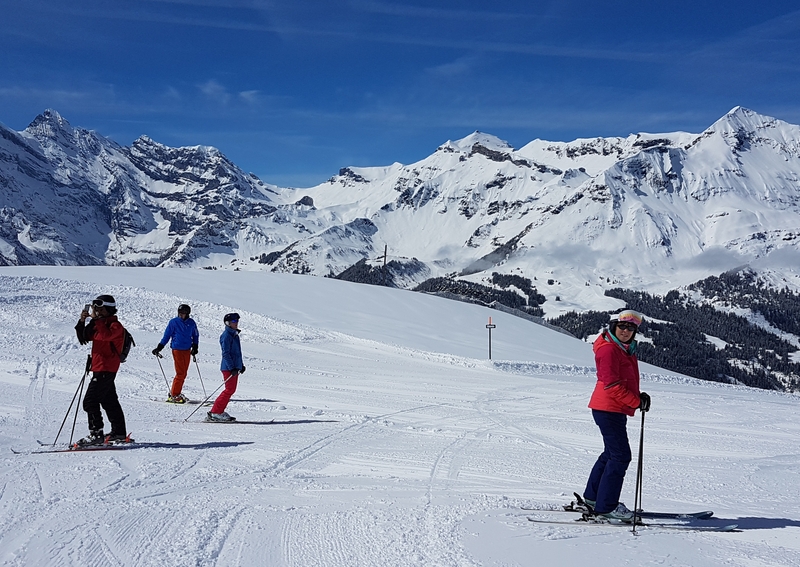 Over a metre of new snow at Scheidegg. What a day! Fantastic. Not a bad season for you guys! Wish there was some way of spending a few last minute days there. Still good skiing, and it was nice to see the sun today. 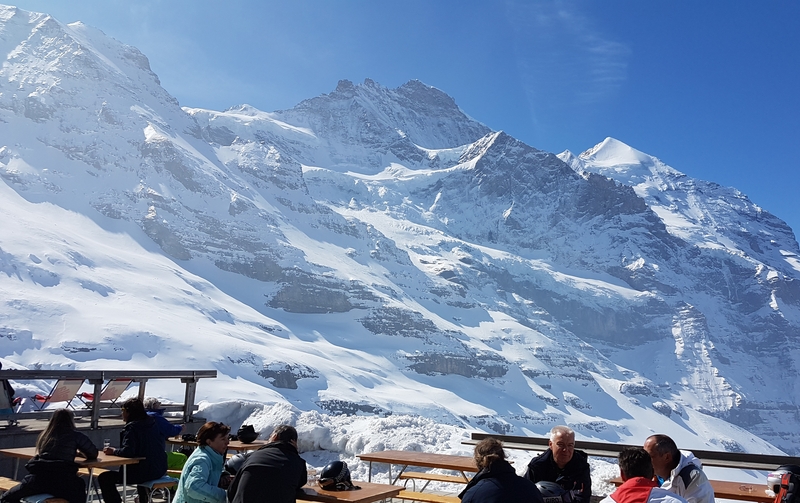 Eigernordwand, Wixi, Lauberhorn and Arven lifts open at Scheidegg. No queues, no crowds. Best pic of the season probably, taken by my mate Ali. That's me on the right, on the racetrack just above the tunnel under the railway at Wasserstation. 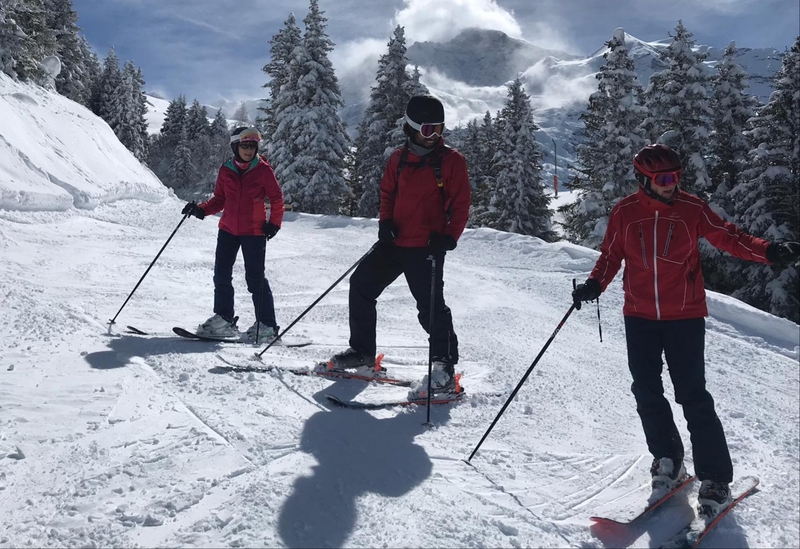 It's all still very good, and on the Wengen side you can still ski back to the Caprice. It's looking good for Easter. 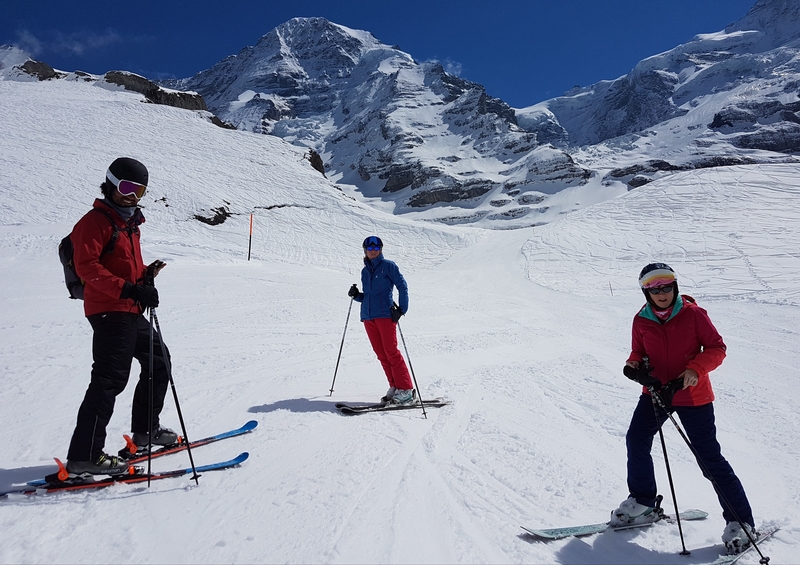 It's still possible to ski back to the village (just), but up at Scheidegg everything is in great shape. Eigergletscher this morning. I really should try to avoid these threads after returning home.